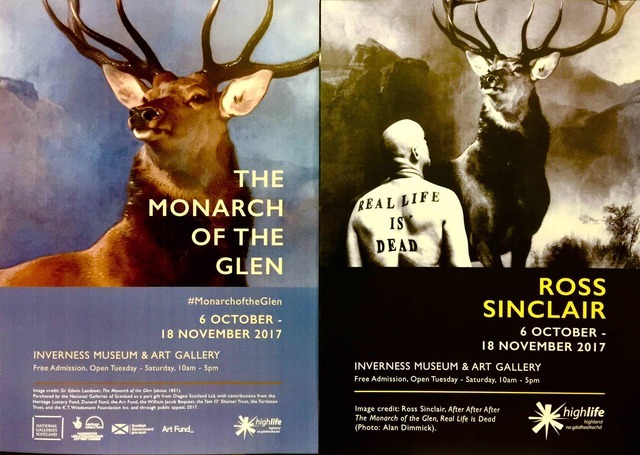 I was invited to create a solo exhibition at Inverness Museum forming a contemporary critical response to the Sir Edwin Landseer painting, The Monarch of the Glen, exhibited there the first leg of its national tour. 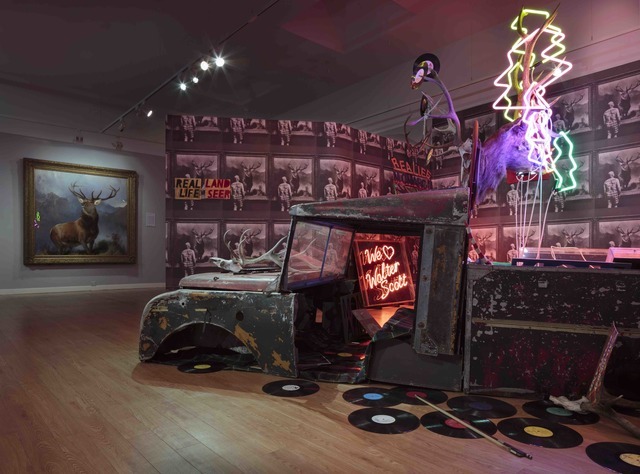 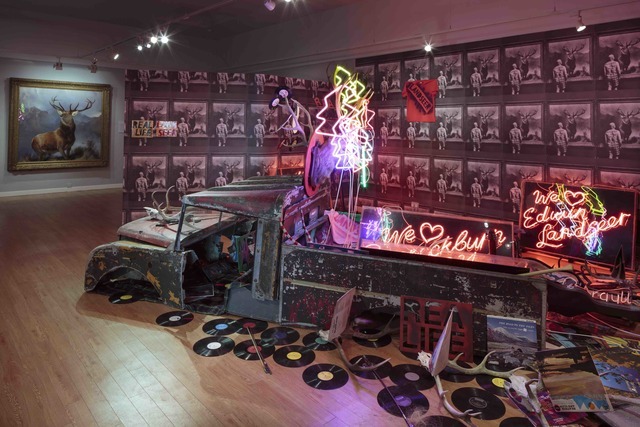 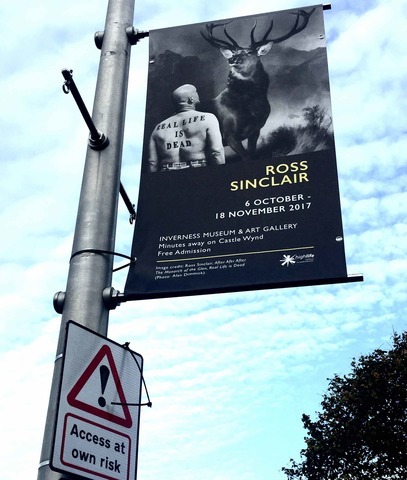 This sprawling exhibition with free posters and postcards was exhibited in direct proximity to the ‘priceless’ Landseer work, recently acquired for the nation (for £14million). Near the end of the exhibition I initiated and led a public colloquia with Professor John Morrison (Aberdeen University), Landseer expert, addressing research questions surrounding art and identity in the UK and how this international image is discussed through my project in relation to the legacy of Landseer. 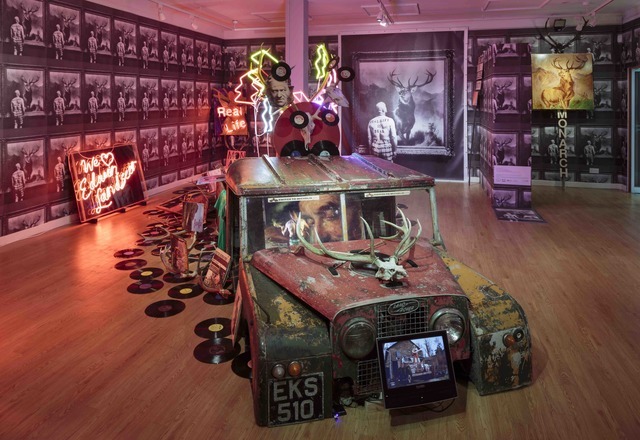 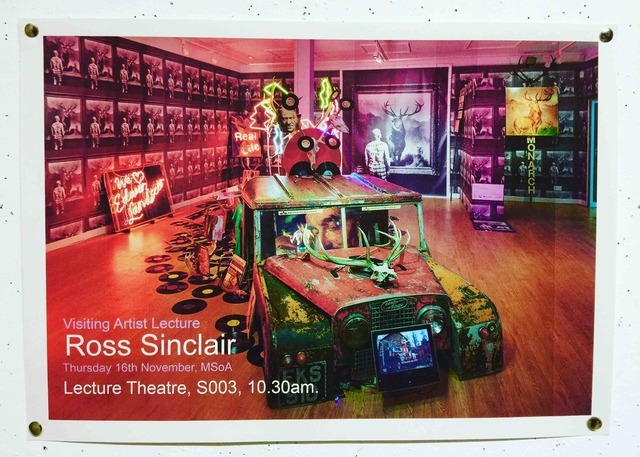 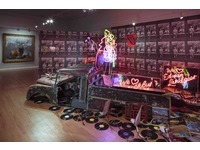 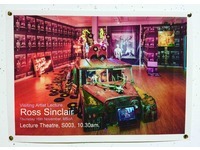 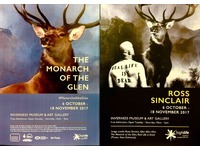 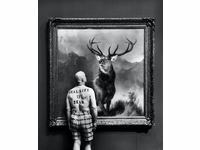 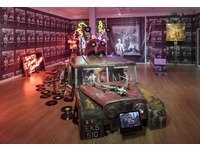 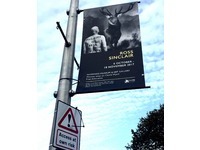 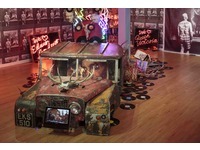 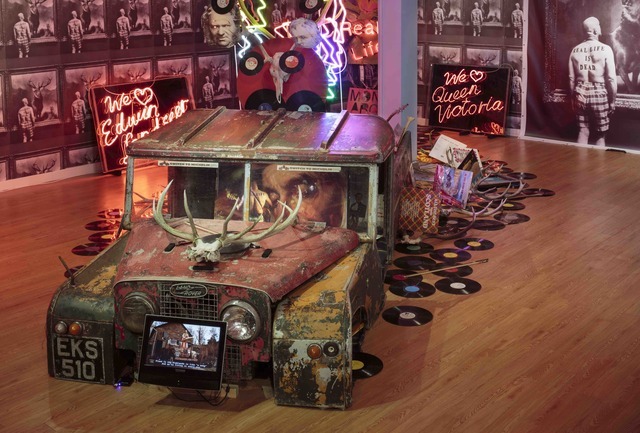 Ten years previously I had made an AHRC funded project Sinclair vs. Landseer at Aberdeen Art Gallery. 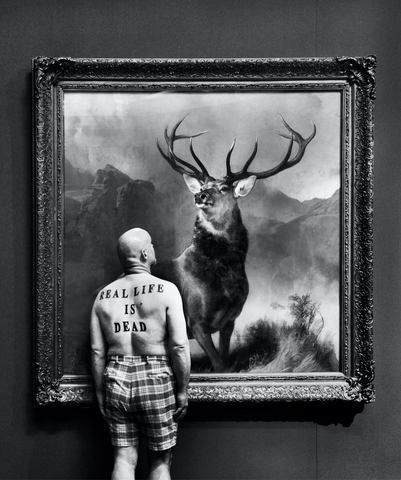 I utilised the new Real Life is Dead Tattoo body modification image in direct proximity to the painting where the questions embedded in the work seek to ask the viewer to examine the veracity of their beliefs and understanding of the complex construction of a ‘National’ identity in relation to Art and Culture. 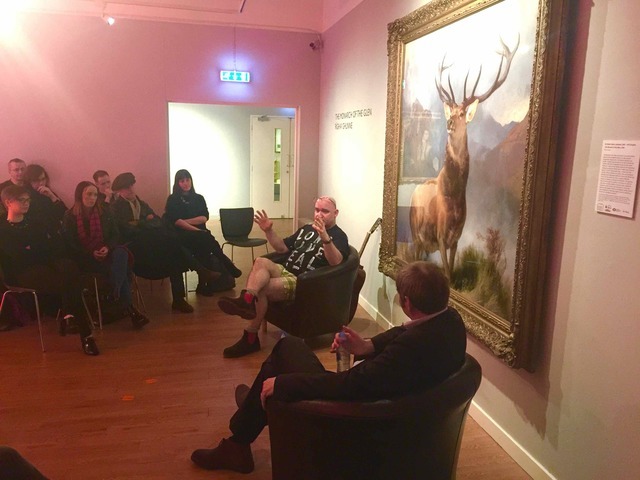 This signals a new phase of the Real Life project developing the research accrued through many previous iterations of this meta project exploring individual and collective response to these questions.